Find out what are the best yoyos for 2016. See the newest Buyers Guide. 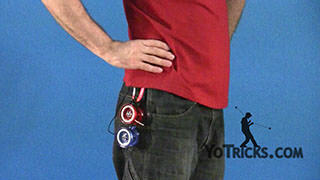 Recommended Beginner Yoyo: Fast 201 Yoyo, Hubstack Yoyo. 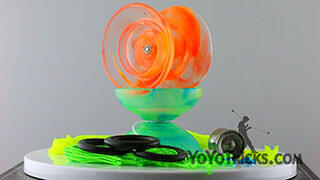 Recommended Starter Yoyos: Sage Yoyo, Sage Yoyo Starter Pack, Sage Yoyo Pro Pack, DV888 Yoyo, DV888 Yoyo Kit. Recommended High-End Metal Yoyos: Civility Yoyo, Atlas Yoyo. Recommended Bi-Metal Yoyo: Steel Yoyo, Edge Yoyo. This is the 2016 Edition of the Yoyo buyers guide for YoYoTricks.com. We recently released another buyers guide for 2a through 5a style yoyoing, and those are the more unconventional styles of yoyo play. This buyers guide is going to cover 1a style yoyos, and those are yoyos for players who are absolute beginners, all the way through really advanced players who use one yoyo attached to one hand. If there is a new buyers guide to replace this one, we will have a link right here on youtube and we will also put a link below the video on our website in the video transcript, and below the video in our app for apple or android devices, and any time we mention a product we will have links in the same places. In this video we just want to answer one question, and that is what is the best yoyo. Now we know that when we talk about what is the best, it’s really just a matter of opinion, so these are our opinions about the best yoyos that we can make available to you, right now. If you’ve been to our store, you know that we carry a much more streamlined selection of products compared to other stores, and this is by design. We only carry yoyos that we absolutely love and highly recommend, and we also only carry yoyos within each category that are very distinct from each other. The reason we do this is because yoyos with different qualities also are good at different types of tricks. 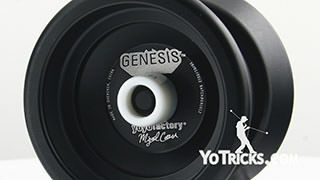 We feel that if you want to become the best player possible, it’s good to have a set of yoyos that play in a very distinctive ways so that you can develop the most well rounded set of tricks yourself, and really that’s what yoyotricks.com is all about. 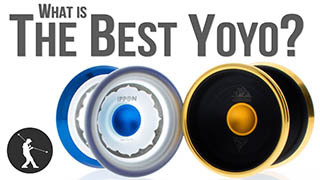 In this guide, the yoyos that we recommend are our top picks. 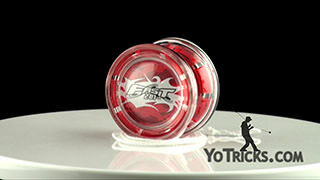 That is, for each category, if you could only get one yoyo, the yoyo that we recommend is hands down our first choice. Now we are going to recommend a second yoyo as well, and these yoyos they represent kind of the opposite side of the spectrum of our philosophy, that is, these yoyos are the most distinctive, the companies who made them took the biggest risks, in terms of design, and in the case of these yoyos, those risks really paid off. So that no matter what yoyos you have in your collection, these yoyos will be a genuine asset, helping you to learn a wider variety of tricks. 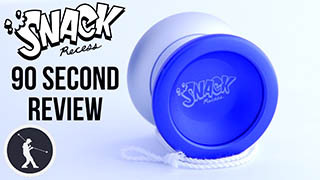 Now, before we get to all of our selections, I did want to talk about one pack that is especially good for new players, and that is the first 50 yoyo tricks pack. The reason we made this pack is to go along with our first 50 yoyo tricks tutorial series. This list of tricks is designed to introduce new players to a wide range of yoyo skills, and we find that when players master the techniques these videos teach, they have a solid foundation and the confidence to approach all the styles of yoyoing and pretty much master any trick they set their mind to. 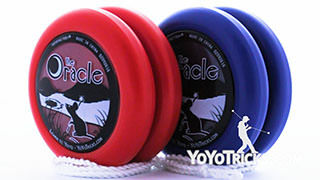 This pack includes the yoyo that we recommend most for getting into 1A style of yo-yoing, and also the pair of yoyos we recommend most for getting into 2A, or two handed style play as well. In addition, this pack includes all the strings and accessories that you’ll need to get all the way through the list. If you’re new to yoyoing, there are a couple of things you’ll need to get that you might not anticipate, such as yoyo lube. All the yoyos we recommend in this video have ball bearings, and in order to keep your yoyos working properly and to keep your bearings from wearing out you will need to keep your bearings lubricated. In our store we have thin and thick lube, and we also have videos explaining how to properly use each of them. 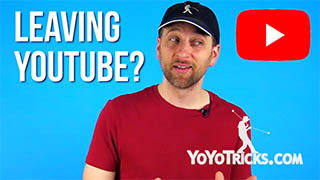 We made these videos because a lot of new players don’t realize that they should remove the bearing before lubricating it, or they might also assume, especially with thin lube, the more lube you use, the better your yoyo will play, but actually if you use too much this will make your yoyo play worse especially if you flood the bearing. You do want to use a tiny, tiny amount of lube on your bearings, so you will want to check those videos out, and they will show you exactly what to do. 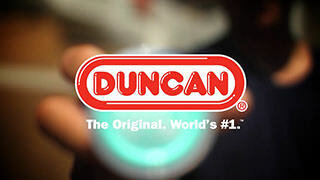 The reason that yoyo-specific lube exists is because yoyo bearings have different needs compared to other products with ball bearings, and other lubes like WD-40, or vaseline, or sewing machine oil, or trumpet oil, or mineral oil, baby oil all of these will keep your bearing from working properly and could even damage your yoyo. So far we have not found any lube alternatives as safe or effective as the lube we carry, and one bottle could easily last you a lifetime, so it is a good idea to pick some up. Of course, yoyos also have strings, and strings wear out, so you’ll need to replace those, we also sell replacement strings on the site as well. 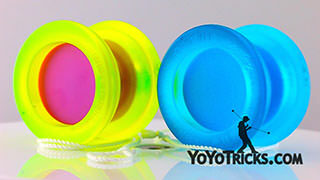 Yo-yos also have these little rubber o-rings on the insides called response pads that help the yoyos come back up, and after 4-6 weeks of intense play these pads can wear out, so you will may also want to consider getting some of those as well. To make things easier on every product page we have a recommendation section so you know what kind of lube, response pads, and strings you will need for each yoyo. In addition every yoyo is available in a pack that includes the right kind of lube and strings, and we recently added a new feature so you can add on the right type of response pads to any of the packs as well. The first category of yoyos we want to talk about are yoyos for the absolute beginner, these are people who have never successfully thrown and caught a yoyo before. Both of the yoyos we are going to recommend have features that will make achieving this first throw easier and learning all the other basics easier as well. Now, if you have thrown and caught a yoyo before successfully, we suggest that you skip over this section and get one of our starter yoyos. 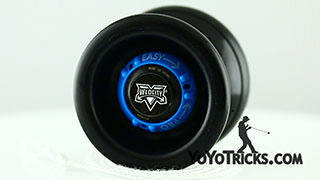 But if you truly are an absolute beginner, the first yoyo we want to recommend to you is the FAST 201. This yoyo is nice for brand new players because it is inexpensive, it has a really comfortable shape, and instead of having replaceable rubber response pads, it features these flexible plastic plastic teeth on the inside of the yoyo. These are extra grippy, and that lets it come back up easier than a lot of models, and they don’t need to be replaced, so this yoyo requires less maintenance than a lot of other yoyos. While the FAST 201 is excellent for all the basics, it is not necessarily the best yoyo for when you want to start landing the yoyo on the string. If you have a FAST 201, you can loosen the gap a little bit, which will allow you to do some basic string tricks. But pretty quickly, you’re going to want to get something designed for these kinds of tricks. 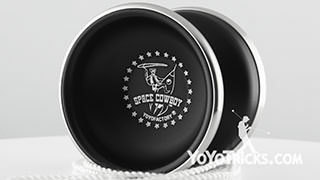 To recap, this yoyo is great for younger players and for anyone who really really wants to yoyo but has never been able to get the yoyo to wind back up, but if you have already gotten that far and you want to take your skills further, we do recommend that you hold out for one of our starter yoyos. The second yoyo we want to reccomend features a really unique design element that sets it apart, and that yoyo is the Hubstack. As its name suggests, the Hubstack yoyo has hubstacks on the side, which allow you to hold onto the sides of the yoyo while the yoyo is spinning, and this allows for some pretty unique trick possibilities. And for new players, this also has an unexpected advantage, because it allows you to pull-start the yoyo to get it spinning quickly, without first learning how to throw the yoyo. Now if you ever tried to teach someone how to yoyo who is really struggling with the basic throw and return you can appreciate how this can keep these players motivated, by allowing them by allowing them to learn basic tricks like rock the baby or walk the dog, and after a couple of wins with these tricks they will be more excited to learn a proper throw. So if you have a son or daughter, or a little brother or sister who has been watching you yoyo and they keep trying but just can’t get the throw to work, or if you yourself are a little bit uncoordinated and you just haven’t got the throw down, the Hubstack completely solves that problem and it allows them to start learning tricks before getting the throw totally figured out. Comparing it to the FAST 201, the Hubstack is nice because it does play great on the string, making it easily the most versatile beginner yoyo we have ever offered. The next category of yoyos we have already mentioned are starter yoyos, like beginner yoyos these are really easy to use, but unlike beginner yoyos they do not have any of the training wheels like the hubstacks or the teeth in the FAST 201. Starter yoyos are still designed to be easy but also they are great for the more advanced tricks when you get to that point. This is why we do recommend skipping over the beginner yoyos if you can already throw and catch a yoyo because starter yoyos can take you much further with your tricks. 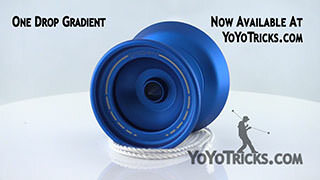 Our highest recommended starter yoyo is the Sage, and while we’ve recommended the Sage before, we continue to recommend it because its not only really responsive and easy to use, but it was also designed based on characteristics that are found in many of the most competitive yoyos on the market. 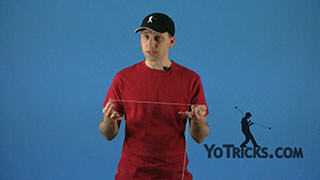 When you start getting into your string tricks, its wide flared shape makes it really easy to land it on the string. And for a starter yoyo, it’s one of the longest sleeping plastic yoyos we’ve found. The Sage is also made out of POM plastic, which is really durable, and if this is your first yoyo it is going to take a couple of hits to the ground as you practice, and the Sage can handle that no problem. Probably the most exciting thing about the Sage, which is something that is also true of all of our starter yoyos, and the Hubstack to that matter, is that it is upgradeable. By simply replacing the bearing in the Sage with a wider bearing, the Sage is now perfectly ready for learning the more advanced or unresponsive tricks. In unresponsive yo-yoing the yoyo does not return when you pull it up, this can make things more difficult at first because you need to learn a trick called a bind to get the yoyo to come back up, but the exciting thing about unresponsive yo-yoing is that it opens up a whole new set of advanced tricks that can not be done with a yoyo set up in the regular way. One neat thing about that is that if you learn the basics on the Sage and then upgrade it, your transition to unresponsive yoyoing will be more natural because you arere using the same yoyo. 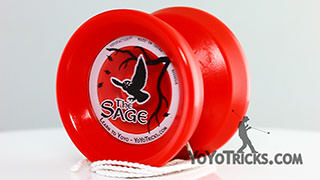 Unlike most yoyos, we have two packs for the Sage. The first one is called the Sage Starter pack, and it includes everything that new players need, like thick yoyo lube to keep the yoyo playing responsive and easy, finger wrap to keep the string from hurting your finger, and also spare yoyo strings. The Sage Pro Pack is for players who are just about ready to try out unresponsive yoyoing. The pro pack comes with a Sage set up for responsive play, but also includes a second bearing, the one that we recommend for starting unresponsive play. It also includes thin yoyo lube for the upgraded bearing, and extra strings as well. If you are in the market for a starter yoyo but you really want a yoyo made out of metal, then what we recommend is the DV888. And it is pretty unique in the market because there are not a lot of metal yoyos that are designed to play responsive but it does have some real benefits, the first thing is because it is made out of metal it is going to sleep just a little bit longer than other plastic yoyos in the starter category. It is also a little bit smaller especially if you compare it to something like the Sage so if your hands are smaller that is going to feel a little bit more comfortable and it also gives you just a little bit more feeling of control if you are learning the basics and so that can be helpful as well. Also like the Sage, the DV888 also comes with a pack so that you can upgrade it to play unresponsive when you are ready to do that as well. So in a lot of different ways this is an excellent option. 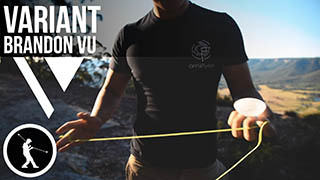 If you are already into unresponsive yo-yoing, that is if you already know how to bind, or if you have looked at the bind and you feel like you would be able to figure it out no problem. Then we did just add a new category of yoyos to our store that we call unresponsive plastic yoyos, and as the name suggests these are plastic yoyos that are set up for unresponsive play so they are kind of like already upgraded starter yoyos. We try to only keep the number of yoyos in this set pretty small because we want to offer you only the best of the best possible yoyo at really competitive prices and we are so confident that if you are ready for these yoyos that you are going to love any one that you get. So we would just recommend going in there checking those out and seeing which one looks the most interesting to you and we are pretty confident that you are going to like it. Now all the yoyos in that category and all the yoyos we are going to talk about from here on out in this guide are going to be unresponsive yoyos. So the next category of yoyos that we want to talk about are what we call budget metal yoyos and these are metal yoyos that are under sixty dollars. When we start making buyer’s guides this category was much more limited but today most metal yoyos are budget metal. So our goal with this category in our store was to carry a diverse set of budget metal yoyos. So that if you are the kind of player who likes to collect them all every option in this category will add something unique to your collection and we feel that it will also contribute to your overall potential skill set. 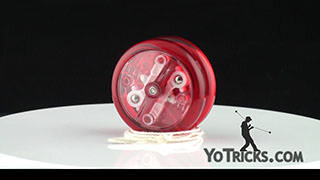 Now before we get to our top picks, there is one yoyo that we wanted to bring to your attention because we are able to offer it at a really good price and that is the Yomega Glide. The Glide used to retail for sixty dollars but we worked a deal with Yomega where we can bring it to you for just a little bit more than half the price, and we always liked the Glide even as a sixty dollar yoyo, so we are really excited to be able to offer it to you at this price. Now Yomega is offering the Glide to other retailers for a slightly higher price than what we are going to be able to make this available to you. But for them it is also going to be coming responsive which means if you want it to play the way ours come you also have to get an upgraded bearing for those as well, and so just in a lot of ways we felt like this is such a great deal that we can offer to you, so we wanted to make you aware of that. Now when it comes for our top pick for the last two years our top pick for the budget metal category has been the Shutter yoyo and as you know the Shutter was used to win the 2014 World YoYo Contest in the hands of Gentry Stein. We still absolutely love that yoyo but we did want to go in a slightly different direction with this particular buyer’s guide, so the yoyo that we want to offer you right now as our top pick is the Canon. Compared to other budget metal yoyos the Canon is especially good for fans of our website because if you put it alongside the Sage you will see the shape of both yoyos are similar but the Canon features a number of design improvements to increase performance besides the fact it is made out of metal so that compared to the Sage the Canon will feel like a new step up while still maintaining enough similarity that you won’t feel like your going into completely unfamiliar territory. Like the Sage the Canon is basically a V-shaped yoyo, which lends itself to speed, but you can see there is a little step off the response pad area, and some extra weight is added to the rims, there are features more common in H-shaped yoyos, so it takes on some of those characteristics as well giving the Canon added stability and spin time and an overall more balanced feel, which is why it excels for such a broad range of tricks. In addition, the Canon was designed to be great for 5a and 3a styles, as we mention in our other buyer’s guide, so we feel like this yoyo has a lot to offer to any player looking to expand their skills. 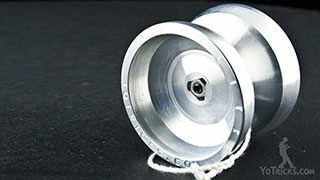 The second budget metal yoyo we want to recommend that really stands out is the Horizon. 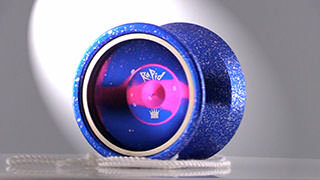 The Horizon features a larger diameter than most 1a yoyos, as well as this rounded inner cup. While we have recommended this yoyo in the past, the combination of these two features still sets this yoyo apart, giving the Horizon distinct advantages that players are still discovering as they push their tricks to the next level with this yoyo. As you may have already have seen we had Paul Kerbel come out to YoTricks to teach tutorials using the Horizon, which is his signature yoyo. 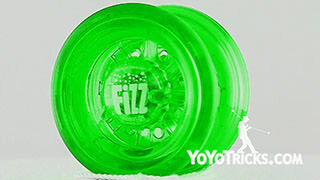 Now, in most cases when we learn tricks from players we just grab whatever yoyo is close, but with Paul, all of us found that his tricks were so tied to the specific advantages of the Horizon, that, by the end of his time with us, we were all throwing Horizons so we would have the best shot at learning his tricks. Now the most obvious advantage of the Horizon is this bowl shaped cup for finger spins. 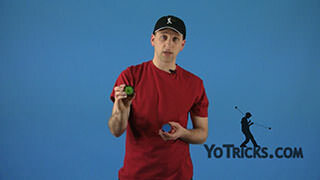 The entire cup of the yoyo is designed to force your finger to the center giving you a very large target to catch the yoyo when you are first learning these tricks. 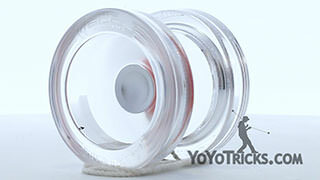 In addition, since the diameter of the yoyo is wider than other yoyos that makes that target even larger, and, by pushing so much weight to the outer edge of the yoyo is has extremely powerful spins, making it great not just for extreme finger spin tricks, with repeated catches and movement, but for any type of grind trick, as well as any other extreme trick as well. Now Paul Kerbel is certainly one of the most exciting players competing today, and we feel if his tricks are at all inspiring to you, the Horizon should be on the top of your list of yoyos to consider. The next category of yoyos we want to talk about are High-End Metal yoyos, which are metal yoyos over sixty dollars. As we have explained in previous buyer’s guides, the reason high-end metal yoyos are more expensive is not necessarily because you are going to see a big bump in performance but because these yoyos either feature design characteristics that are more extreme, or are made in the US or Canada, or are an extremely limited run. 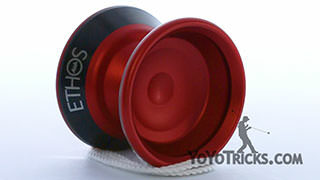 The first High End yoyo we always want to bring to your attention is the Civility. As I am sure you are aware the Civility is the yoyo we have used to teach the more advanced tricks on our site. The most stand-out feature of the Civility is the stainless steel nut on the side of the yoyo which not only gives it a very distinctive look, but this stronger nut allows the Civility to be more durable than other yoyos, allowing it to play great throughout its life. In addition, this year we made a few changes to the Civility. We dialed in the bead blasting process and anodizing so it is even better for grinds than it was before. It is also little lighter than before, but the weight has been shifted in the design so it has the same feeling of power, making it just as good for learning tricks, while playing a little faster overall. So far reviews of the revamped Civility have been very positive, and we are excited to make that available. 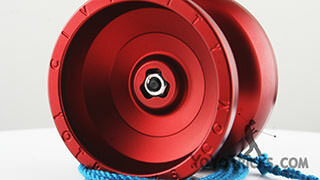 On the more extreme side of our High-End Metal yoyos is the Atlas. The Atlas is the widest 1A yoyo we have ever carried, and that extra width helps it really stand out. It also plays very light and fast, which encourages experimentation with more extreme tricks. Most notably, its width and speed make the Atlas excellent for off-axis style play. Off-axis is generally more effective with a fast yoyo because speed helps keep the yoyo on the right plane without losing spin time, and the width of the Atlas makes landing on the strings easier especially when learning new tricks. For the last 20 years competitors have generally been reluctant to try wider yoyos, and yet, year after year, the average width of yoyos keeps increasing because there are so many advantages. We feel like the Atlas represents the direction yoyos are continuing to move, as more players discover the benefits of extra-wide shapes. In fact this past year the Atlas became the first super-wide yoyo to win at the World Yoyo Contest, demonstrating there are significant advantages to be had for those brave enough to seek them out. The last category of yoyos we want to talk about are bi-metal yoyos, which are yoyos composed of two types of metal. 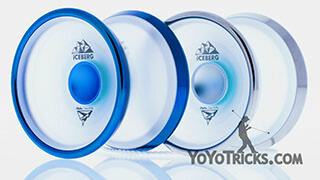 Most often bi-metal yoyos feature the addition of a weight ring on the rim of the yoyo made out stainless steel. Besides giving these yoyos an elegant look, the increased density of the metal ring allows bi-metal yoyos to focus the weight of the yoyo in one specific location in a way regular yoyos cannot. When the ring is placed on the outer edge of the yoyo, this gives the yoyo a more powerful spin, allowing it to sleep longer and be more forgiving during play than other yoyos with same weight. This makes bi-metal yoyos great for competitors, but also great for new players because of the increased spin time and stability. Now since our buyer’s guide last year these characteristics have helped bi-metal yoyos become more trendy, even though not all bi-metalstake full advantage of these traits. 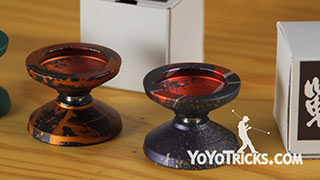 The yoyo we do feel embodies the best elements of bimetal design is the iYoYo Steel. Overall this yoyo really capitalizes on the advantages of bi-metal, but beyond this, the Steel’s splash anodizing and toned rims exemplify the best of the bi-metal aesthetics, so all of these yoyos not only play great, but look awesome too. The Steel also features one additional feature that we absolutely love and that is this unique finger-spin area in the cup. If you can catch the yoyo anywhere within this central area you will find yourself in a finger spin that spins a very long time with little effort. While this implementation does make it less versatile for tricks compared to the Horizon, the finger-centering dimple does make it easier than ever to get into and execute long fingerspins. The Edge yoyo by YoYoFactory is the last yoyo we are going to talk about in this guide, and this yoyo has us really excited because it is one of the few bi-metal yoyos that are really pushing the limits of design. What we mean by that is a lot of bi-metal yoyos right now have kind of standardized the width and diameter and the Edge is pushing the limits on that by having a slightly larger width than most of these yoyos. So if you were to lay the Edge beside a yoyo with a more normal width like the Civility and then also a yoyo with more extreme width like the Atlas, you can see that the Edge falls right in between. What that does is that little bit of extra width allows you to hit more extreme tricks during your routines and maybe allows you to add a little bit more risk but at the same time it is not so wide that you feel like you are really going to have to change your style to accommodate how wide the yoyo is. The other thing that they have done with the Edge is you can see that the weight rings are not completely on the rim of the yoyo, they have been brought in just a little bit, and that allows the yoyo to play a little bit more controlled. So you just put all of that together and you get a really really nice experience that is different than other bi-metal yoyos on the market. Now we are so excited about this yoyo we are actually breaking one of our rules for this, at the time of filming this yoyo actually is not on the market quite yet. This is just a prototype, but the yoyo is going to be out soon and maybe even by the time you are watching this video, the yoyo will be available so, you know, like with all of our other videos you can check that out on our site or if you are on youtube can click the link right here and it will let you know about that. So those are our top picks and extreme picks for 2016. Always be sure to check back in our store in all the categories of yoyos you are interested in to see what yoyos we have added and recommend. And, of course, download our app for apple or android devices to learn all the tricks. We’ll see you next time.